It needed to convey the message of a mass exodus, Candace Owens said of the artwork that would mark black Americas exit, or Blexit, from the liberal plantation. I created the logo. I spent weeks tinkering with the design, agonizing over the shape, the color, Owens told me in a phone interview. I started with a very basic X...But Owens knew something was missing...Thats when she turned to Kanye West  the 21-time Grammy-winner and one of the most influential and successful fashion designers in the world, with whom Owens has developed a close collaborative relationship. Pretty cool work, photos of it behind the link. 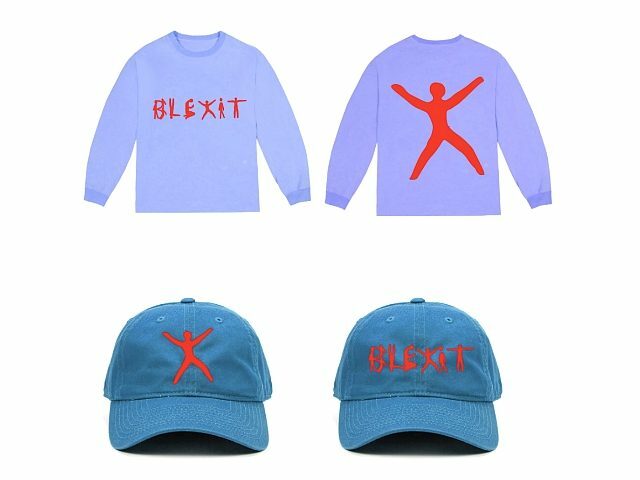 I think Blaxit sounds better, but the logo’s already made! I've designed lots of logos and I give this one high marks. Contemporary, 100%. 'X' resonates with the black community anyway and this human-figured X serves to represent the entire logo all by itself, so it works indeed. Nice job, Kanye and Candace. No, it stands for Black Exit, not for Black Zit. Blaxit is already used. It is black people leaving to live in Africa. Good riddance if these leftists think Africa is a better place and want to take their leftist votes with them. 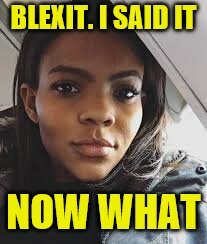 Blexit people are conservatives who are staying and will vote against our leftist crowd. Kanye will do just fine if he’s hanging out with people like Candice. Yea, that's some pretty cool branding. And that's what it takes. I REALlY like this one. Right before his assassination, Malcolm X said that racism, NOT the white race, was the greatest foe of the African American. Some of the black supremacists didn't want to hear that. They killed him. More importantly Malcolm X said that the Honorable Elijah Mohammed was not a true prophet, and Islam had nothing to do with his cult that was preying on poor blacks in the Northern ghettos in the era before civil rights. It's good to see people who happen to be black but don't take it as the primary source of their identity as human beings helping other people who happen to be black no longer be hypnotized by both their own color and other people of both colors who have held them down and hypnotized them as slaves explicitly or more recently implicitly for centuries. Great to see, hope this is very effective at waking people up from a very long bad dream that became a self reinforcing reality -> seems like it could be. Im sorry. I hope all Americans wake up. We dont need to divide down further from Americans. Your either American or not. I refuse to be an English-Irish-Scottish-German-native-whoknows-unknown-polish-and probably(gasp 1-3%) African-American. That just gets too long. Who knows = Russian / Ukraine Jew ? This may become black Americans final, and real, freedom movement. I hope personal responsibility, education and maturity are integral aspects.